Very well located 2 bedroom property close to all amenities. This property comprises large open plan living room/kitchen with wooden floors and neutral decor. This room has a feature fireplace which is the focal point in the room and the furniture is well staged around. The kitchen is separated by a breakfasting bar area and provides a good selection of units and appliances. There is excellent storage. There are 2 double bedrooms, one larger than the other and both furnished to a good level. There is a continuation of the neutral decor theme throughout. The bathroom has a 3 piece white suite with shower over bath. 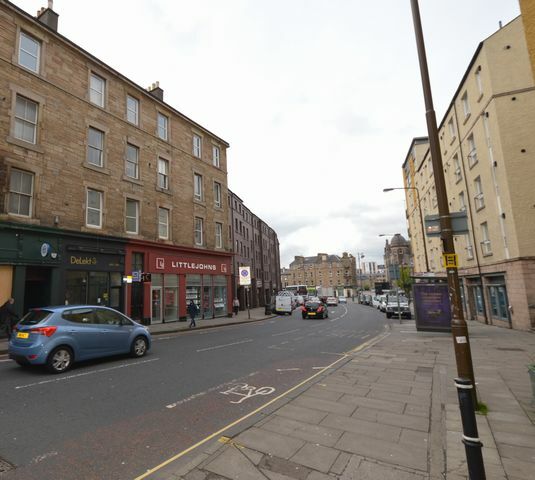 The property is located just up from Tollcross and you will find all local amenities including large supermarkets and independent shops. Plenty of cafes, bars and restaurants are very local.